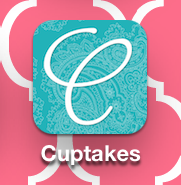 Someone please tell me who does not have this app?! It's Ah-Maz-Ing!! 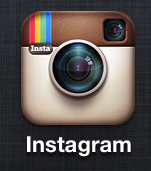 I transform all of my pictures with Instagram & have so much fun seeing other people's pictures. I also love how it automatically posts to Facebook & Twitter! Hello Smarty Pants! This game is a blast! 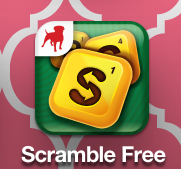 It's by the same people who brought you Words with Friends (which btw I am also addicted to! ), but this is more of a find the words in 2 minutes type of game. I downloaded it when it was new out & now have a ton of friends I play! I could play for hours if able! This app is mainly for women, but if you love to change the background on your phone, this app is perfection. They have tons and tons of different backgrounds & all you have to do is save it, then go to your photos & set as wallpaper! They have chevron, paisley, holidays, etc backgrounds that look beautiful on your phone (the pink background on the pictures are one of my favorites they have!). The best part?! Cuptakes has a website where you can buy the beautiful prints as a case for your IPhone! Genius! Now, I'm always on the hunt for awesome apps, so if you have any that you can't live without, please post on the comments, so I can download them to my phone! Thanks & Happy Friday! !